If you ever doubt that sexism is alive and well, just take a look at the average YouTube comment section. 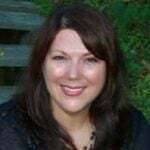 It seems that no matter how incredible and accomplished a woman is, there are always going to be some hateful trolls who live to knock her down from behind the safety of their keyboards. It’s disheartening, but at the same time, these nasty comments can offer strong women the chance to take those trolls down a few pegs every once in a while. And when they do, it’s highly satisfying. Enter Jade Hameister, teenage explorer, adventurer, and all-around tough cookie. 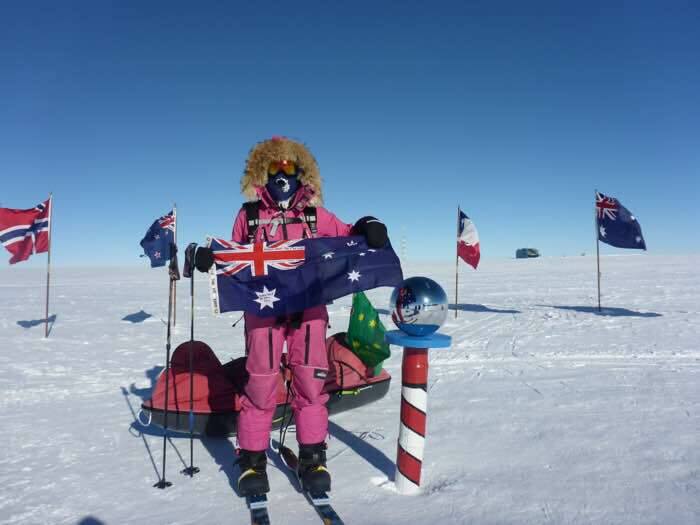 At sixteen years old, this Melbourne, Australia native has already accomplished more than most people three times her age. 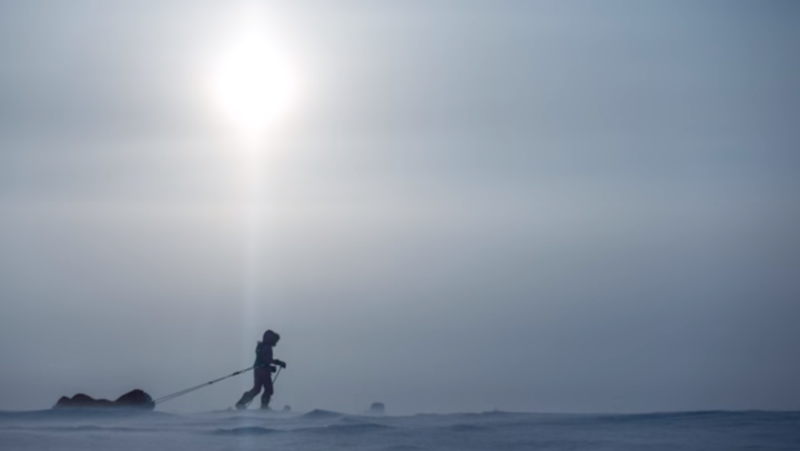 Two years ago she set off on a “Polar Quest” that took her to both the North and South poles, as well as across Greenland. 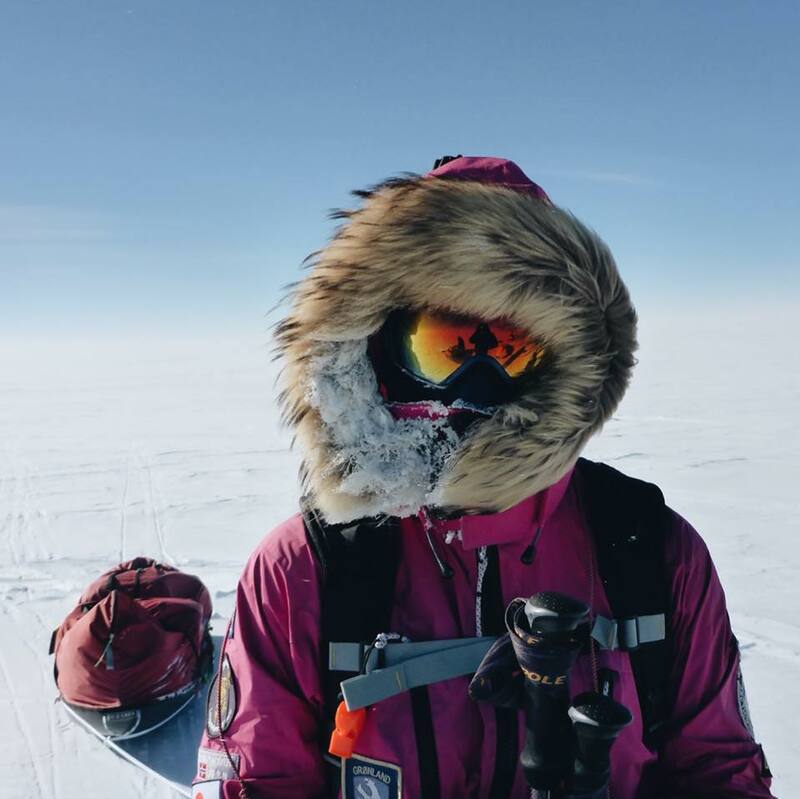 She has set world records, including being the youngest person to ski to the North Pole from outside the last degree, the youngest person to ski coast to South Pole (unsupported and unassisted), and the first woman to set a new route from the coast to the South Pole. 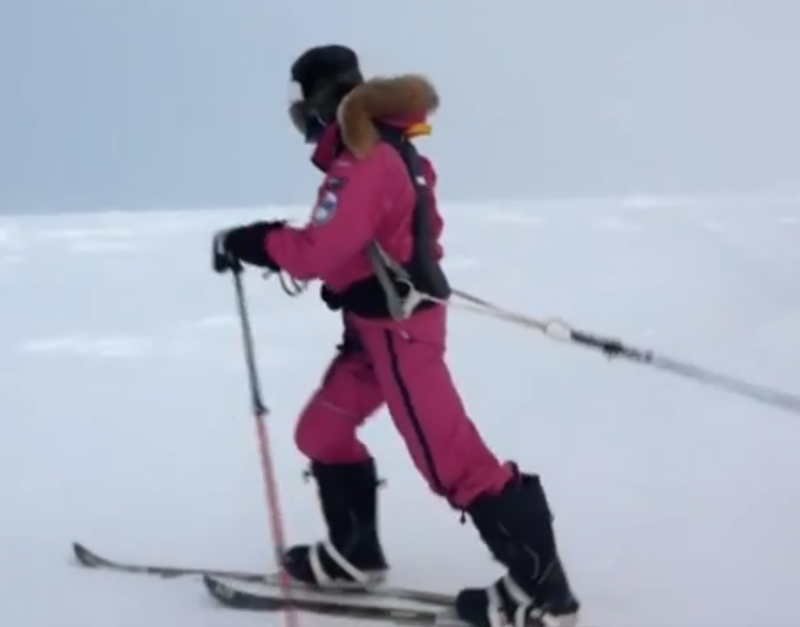 Adventurers call visiting both poles and crossing the Greenland ice sheet the “Polar Hat Trick,” and Jade is the youngest person ever to do it. 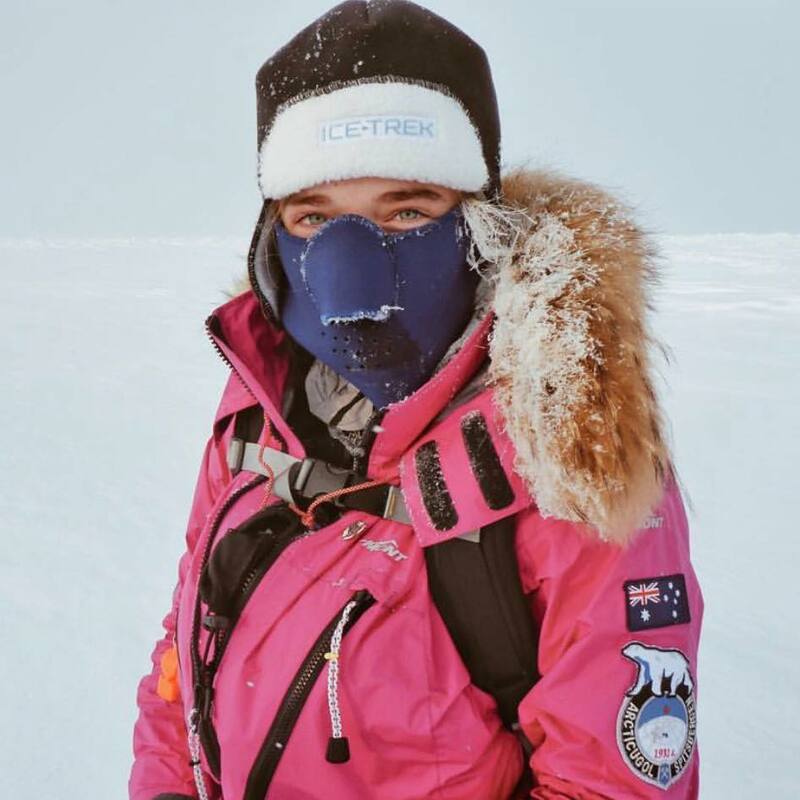 In August 2016, 14-year-old Jade gave a TEDx Talk about her expedition to the North Pole, where she talked at length about what it means to be a young, female explorer in a man’s world. Her hope was to encourage other girls to reach beyond the standard expectations and stereotypes of their gender. “Good on you sweetie, maybe could find a successful husband and make him a sandwich,” one man said. 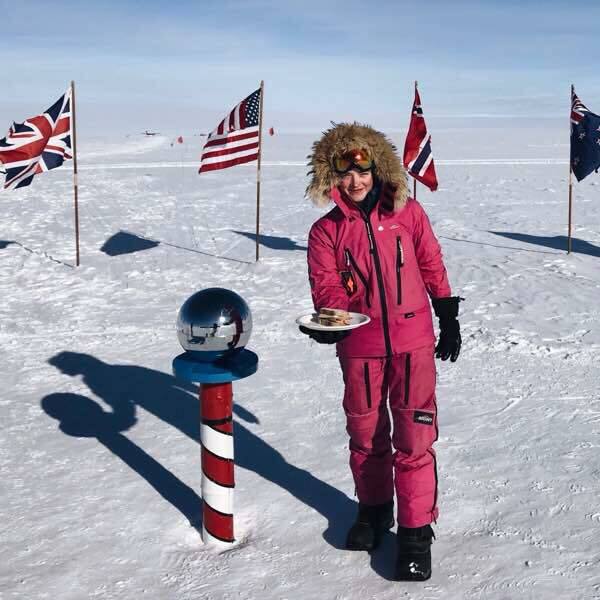 The first thing Jade did when she reached camp was make a ham and cheese sandwich. 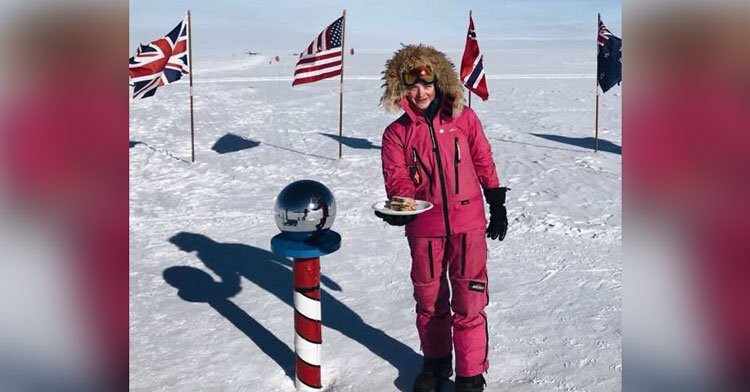 She then strapped her skis back on and carried the sandwich back to the Pole to take this epic picture, which she shared on Facebook. Thank you for shutting down those haters, Jade! You are a true inspiration for not just young girls, but for all people everywhere. 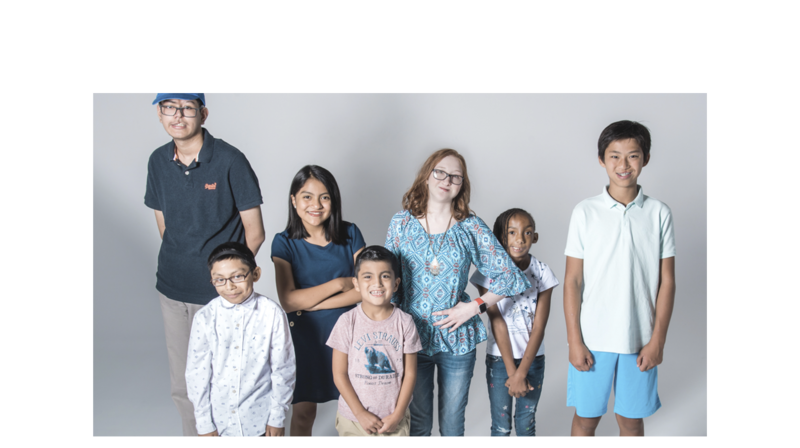 Watch Jade’s whole TEDX talk below, and don’t forget to share her outstanding accomplishments and wise words with everyone!